Jazzhus Montmartre is Copenhagen's historic jazz hotspot, presenting world class live jazz at the original venue at Store Regnegade 19A (Great Rain Street) in the heart of the Danish capital. From 1959-1976, the club made jazz history as the European home for jazz giants Dexter Gordon, Ben Webster, Stan Getz, Kenny Drew and many other masters of the 60's and 70's. They all moved to Copenhagen because of Montmartre. The club got under their skin with its special atmosphere and extraordinary people. 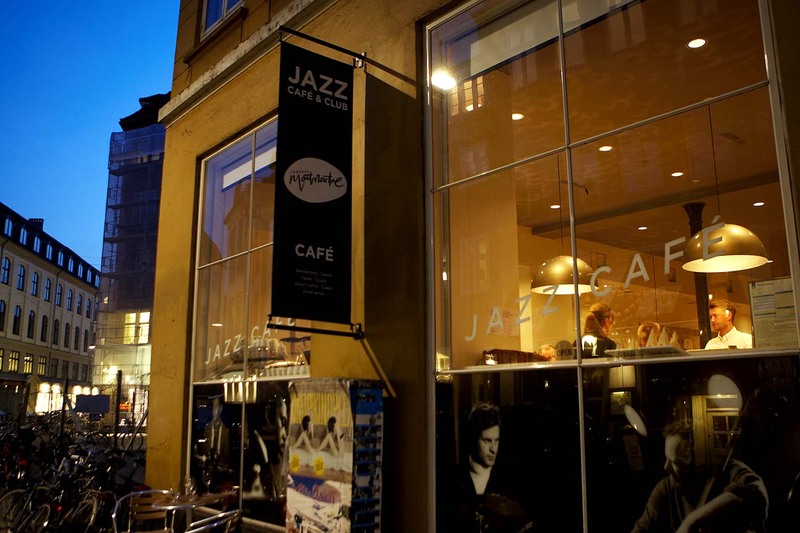 In 1976 the club moved to a new location (Nørregade) and eventually closed in 1995, marking 36 years of writing jazz history as Europe's cutting edge jazz club and a playground for American and Scandinavian jazz. In May 2010, the spectacular re-opening of Jazzhus Montmartre made news around the globe. Once again the world's top jazz artists are flocking to the famous address at Store Regnegade 19A. You can dine at Jazzhus Montmartre before all concerts and keep your table during the concert. It has become popular to book a table for 6:00 p.m. and then wine and dine before the concerts, which start at 8:00 p.m. Out of respect for the musicians, club policy does not allow serving food during the performances. The price level of the menu is roughly similar to other cafés in the downtown area. Opening Hours: Thursdays, Fridays and Saturdays from 5.30 PM until midnight.